Popular photo editing app Pixelmator for Mac was today updated to version 3.4, adding full support for Apple's latest operating system, OS X El Capitan. The new version of Pixelmator supports the Split View feature in El Capitan, allowing Pixelmator to be used in full screen mode alongside another app at the same time. 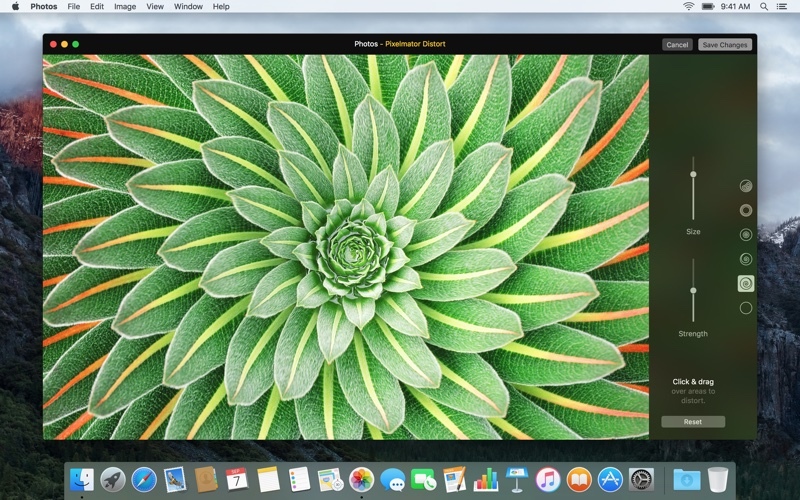 The Pixelmator Photos Extension, which can be used directly within Apple's own Photos app, introduces Metal-based Distort tools for editing images. With these tools, areas of the image can be reshaped in Photos to retouch them or add artistic effects. The extension was built using Apple's powerful graphics-processing technology, Metal. 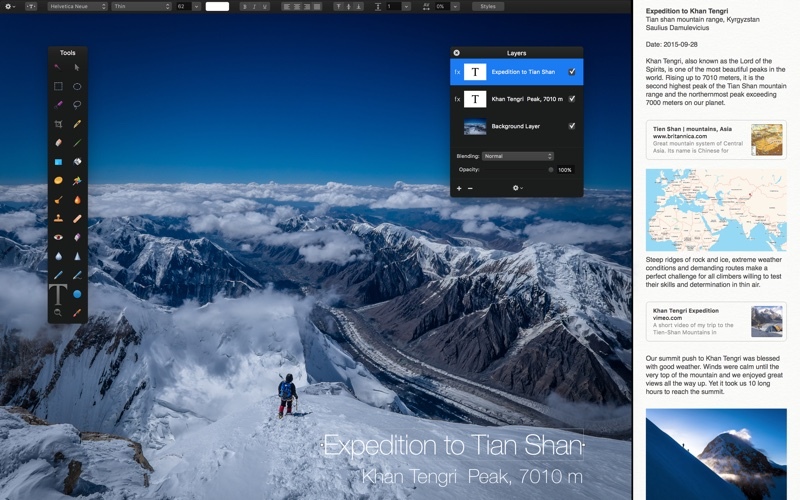 "Pixelmator always takes advantage of the latest Mac and OS X features and technologies, and today we're thrilled to introduce Pixelmator 3.4 Twist with full support for new OS X El Capitan, the ability to work in Pixelmator and a second app without any distractions via Split View, and a new, Metal-based Pixelmator Photos Extension," said Saulius Dailide, one of the founders of the Pixelmator Team. "Pixelmator Photos Extension features a collection of powerful distort tools, which allow users to distort images with stunning quality and incredible speed right inside the Photos app." Other improvements added today include Apple's San Francisco font as the new user interface font and enhanced support for the Force Touch trackpad, which is designed to make painting with the trackpad a smoother experience. The developers of Pixelmator are really quick. They're usually one of the first products to support anything new in Apple's OSes. Plus, Pixelmator is just an amazing graphics editing program. So much like Photoshop, but 95% cheaper. I've been using it for about 2 years now. Love it. Got to love anything that puts pressure on the Adobe machine! Great app, great dev support. One of my Mac favourites. Pretty disappointed as I was waiting for Repair Tool. The one found in Photos is primitive and Pixelmator's one is amazing. Been waiting for this update as soon as I heard that El Capitan Photos would have Extensions. I love Pixelmator so much that I forgotten that I had Adobe Photoshop in my Applications folder. Apple need to get Photos updated to fully support external editors and not just by way of an extension. Only then can Photos realise its potential. It is but it is hard to use with the photos app, each picture you want to edit has to be saved separate form your photo library. Not a big deal for a pro but a pain for novice users.